A four-alarm fire gutted the historic Serbian Orthodox Cathedral of St. Sava on West 25th Street on Sunday, May 1, 2016, FDNY officials said. 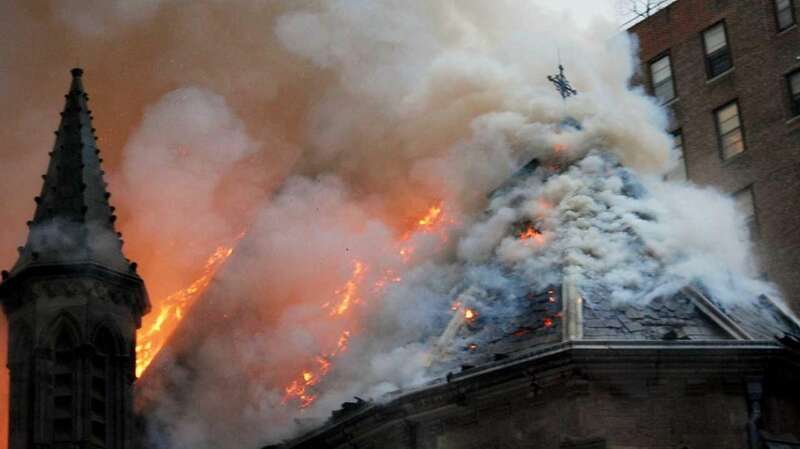 At the height of the fire, flames could be seen shooting from the church’s roof, and smoke billowed over neighboring buildings. Take a look at photos of the aftermath in the Flatiron district.